In most books of poetry, I put a little check in the Table of Contents by the poems I really like. 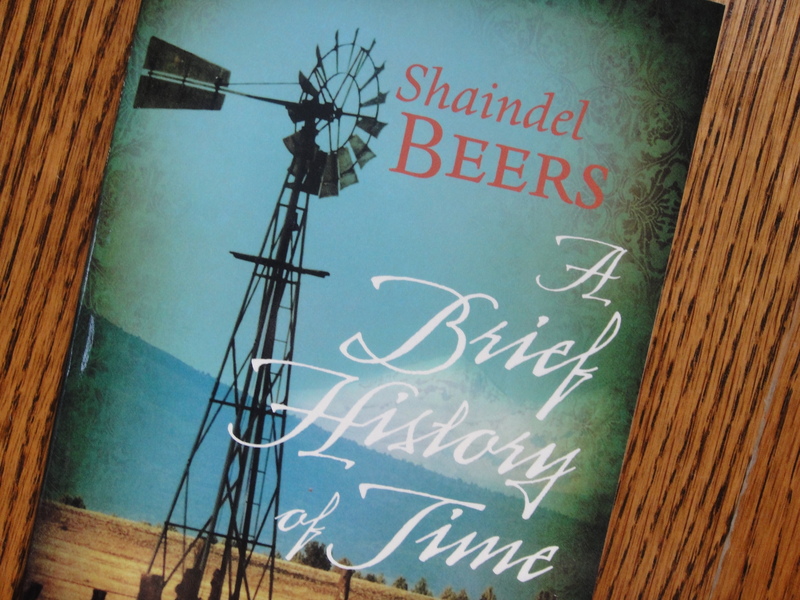 In Shaindel Beers‘ first collection of poetry, A Brief History of Time, I liked so many poems that I switched to marking the poems I didn’t love with a tiny x (only 9 out of 47). My two favorite poems in the collection are “Flashback” and “Rewind.” Two very different poems, but inherent in the titles alone, a preoccupation with the past. as the film wound from one reel to the other. though that amazed us, too. 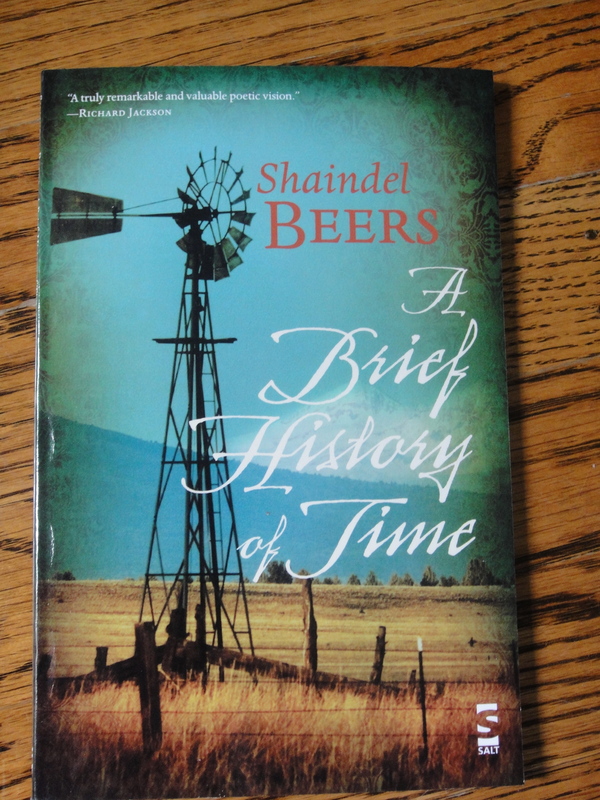 “Rewind” is reprinted here with Shaindel’s permission. It won the 2007 Bob Dylan Award for Poetry for the poem most in the spirit of Bob Dylan at the Dylan Days Festival in Hibbing, MN. You can read more of Shaindel’s poems through links on her website. You can also listen to a wonderful interview with Shaindel on Oregon Public Broadcasting’s Think Out Loud. I can see what draws you to this poet. The verse is so lively and full of modern imagery. Thanks for sharing. Your writing retreat below must have been so much fun. Sarah, Thanks for your comment. I do love the imagery here. And the retreat was wonderful. I was there a week ago today and yet it seems as if it were ages ago. Cynthia–this is one of the most powerful poems I have ever read. Yes, I can see why you love this poet. Thank you for sharing this–what a gift..
Danielle, thanks for stopping by. I’m so glad you like this poem as much as I did!